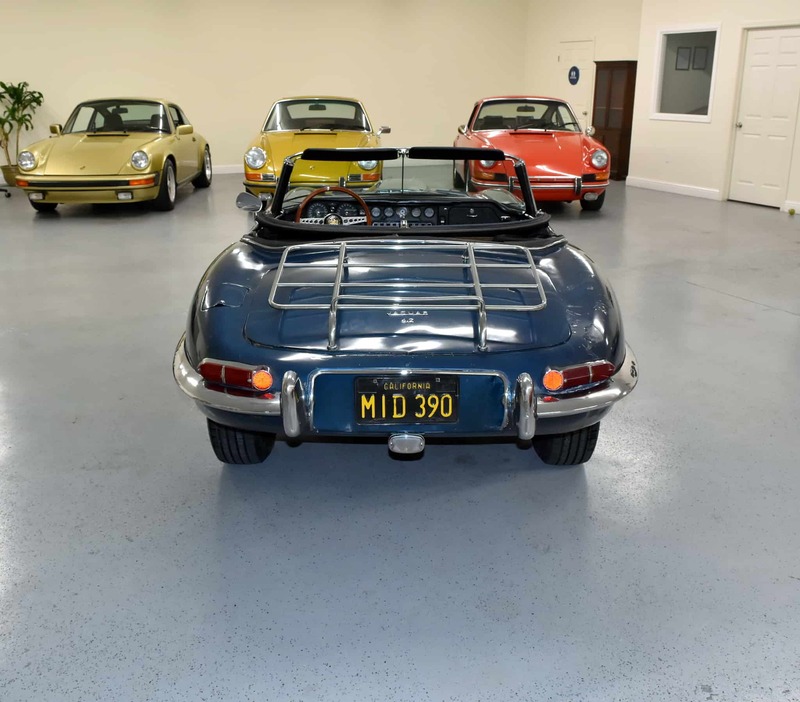 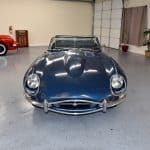 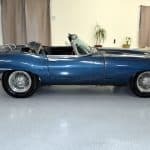 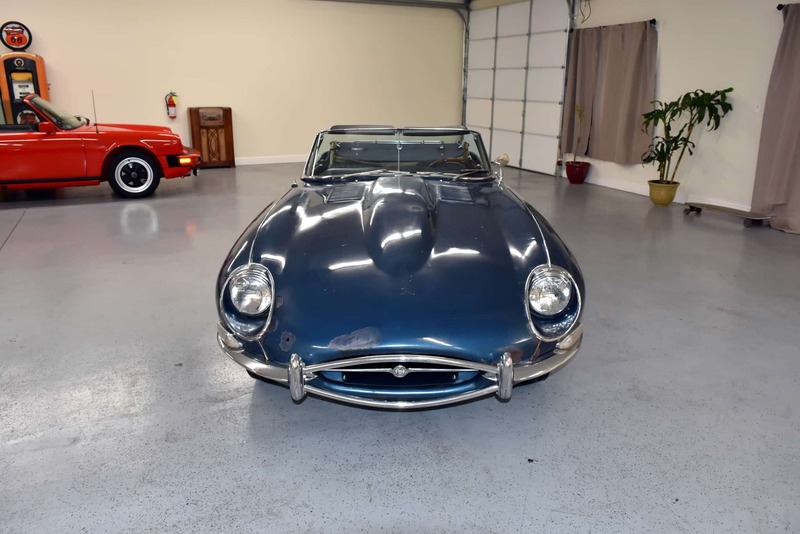 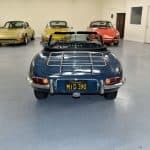 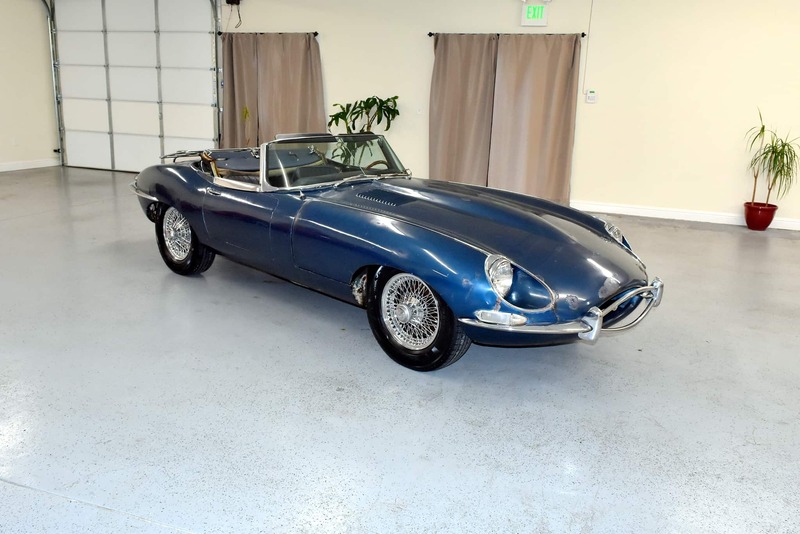 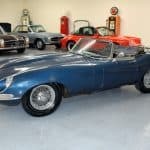 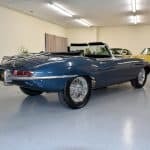 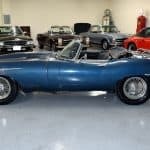 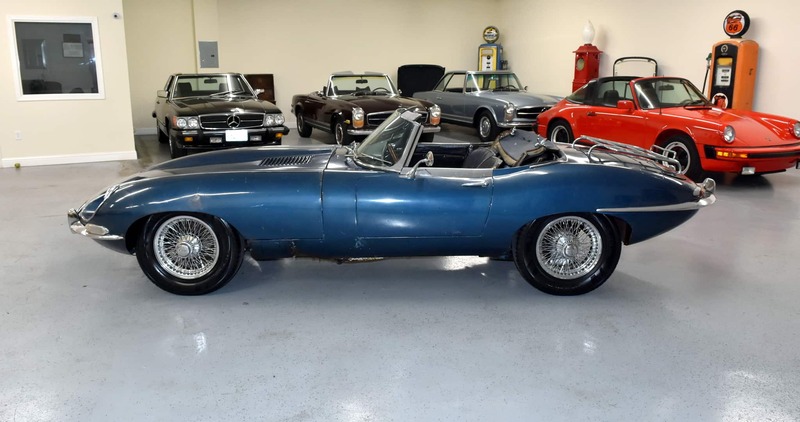 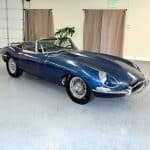 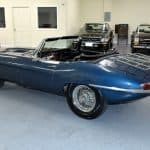 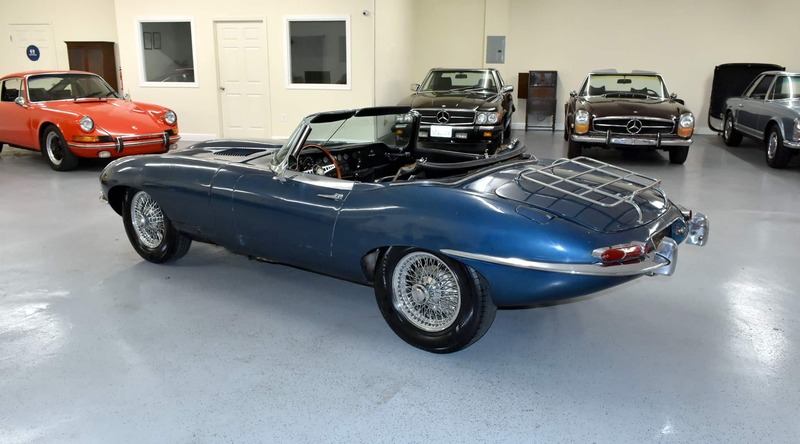 1968 Jaguar E-type Series 1 4.2 litre Roadster with original black California license plates, numbers-matching engine and original-factory metal throughout. 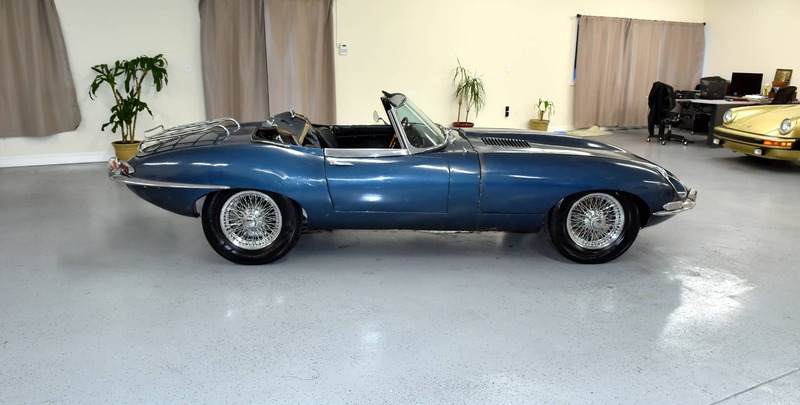 Excellent factory color combination: Opalescent Silver Blue with Dark Blue interior. 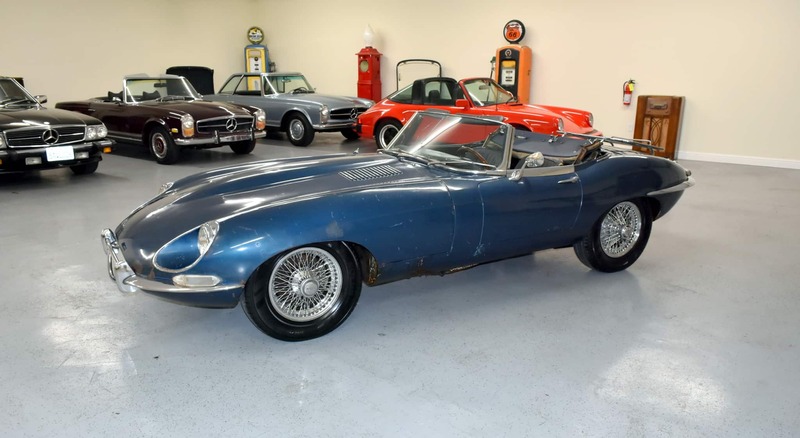 Stored inside for several decades and not driven, original 4.2 engine does not run, needs rebuild. 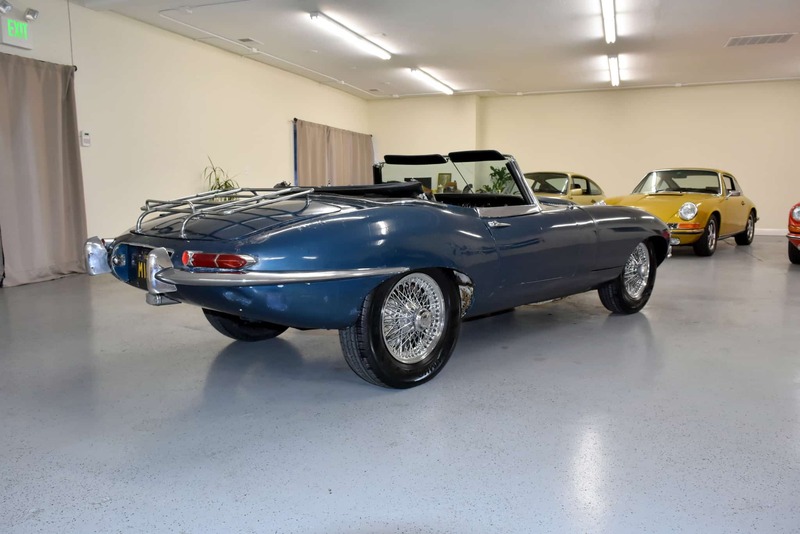 Original undercarriage has been dry-ice blasted to expose all the factory metal and spot welds, please note the floors have never been replaced and the original chassis is quite solid. 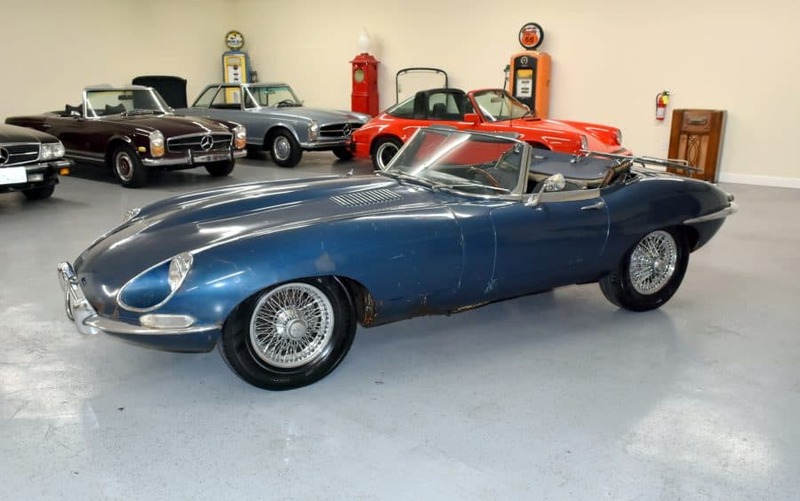 This E-type is very complete, a great candidate for full restoration.